In February 2014, the Conyers learned that their second daughter, Cylee Joy, would be born with Down Syndrome and several Congenital Heart Defects that would require open heart surgery. As instructed by health care providers, expectant mom Holly (age 36), older sister, Clary Jo and grandmother basically moved from rural west Texas to Dallas into the RMHD in July 2014. Precious Cylee Joy was born in August. With small-town community support, Dad was able to fly in and out on weekends so he could maintain his job and the family’s health insurance. The family stayed at the House for over 6 months. The Conyers Crew are still frequent guests at RMHD for Cylee’s appointments. Cylee’s mom, Holly, calls RMHD, “a gift for our family” and explains how much her older daughter Clary Jo blossomed while staying at the House. 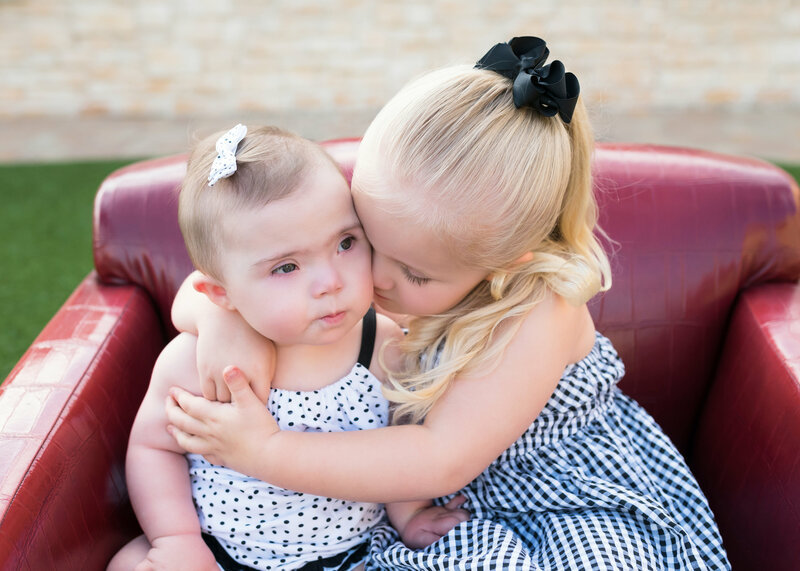 While most of Cylee’s time in Dallas has been in and out of the hospital, big sis Clary Jo has spent much of her young life at the House. RMHD truly is her home-away-from-home. She spends her days at RMHD giving hugs to Cowboy Stan, making crafts for her little sister, reading to her favorite staff member, Shiloh and running around the House filling it with laughter and love and meeting new friends from all over the world!